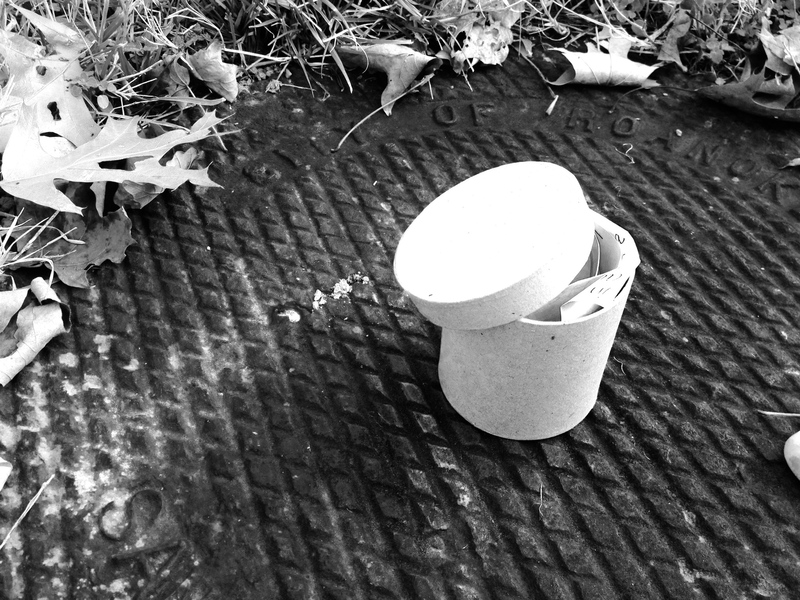 A few weeks ago, a wrote an almost-poem about manholes. 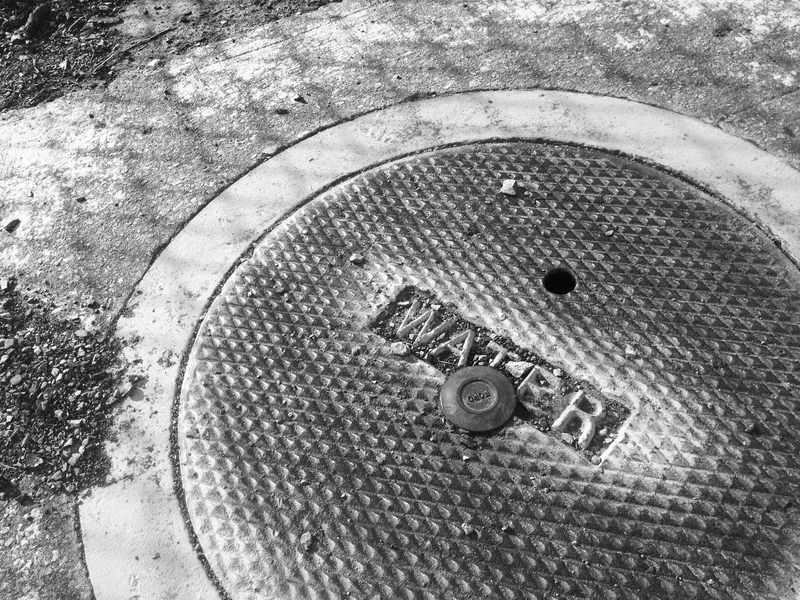 I found a particularly beautiful one while walking the dog one morning — its indentations and engravings all full of rainwater glinting with light — and I stopped right in the middle of the road and took photo after photo of it with my iPhone until a car almost ran me down. And I never intended to show anybody the little ode I wrote to them, because — really — how many people do you know who’d want to read a gushy string of words about sanitary sewer entrances? But last week, while walking across a field one morning, I stumbled straight over one, ringed in a perfect halo of dry leaves. 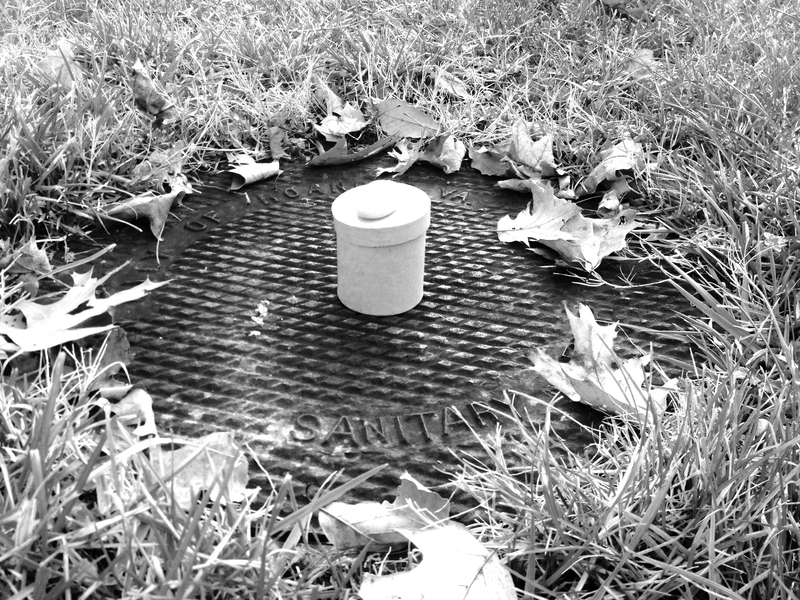 Yes — a manhole right in the middle of a wide grassy field, and I walked right over it. I took it as a sign, went home straightaway, scribbled down an abridged version of my little ode, and I then rolled it up, tucked it in a small cylindrical box and drove back to the field. all meant to hide it from view. as I expect it to. Magic indeed! 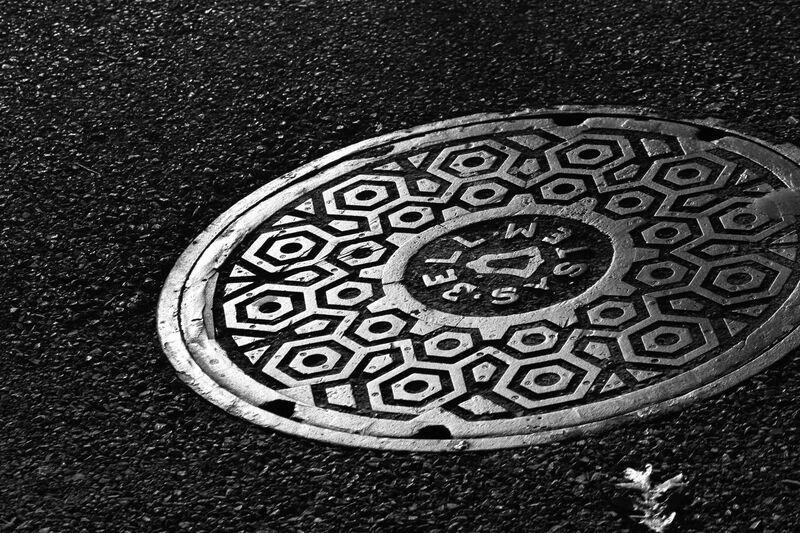 And manholes ARE beautiful, and solid and can get very very old!